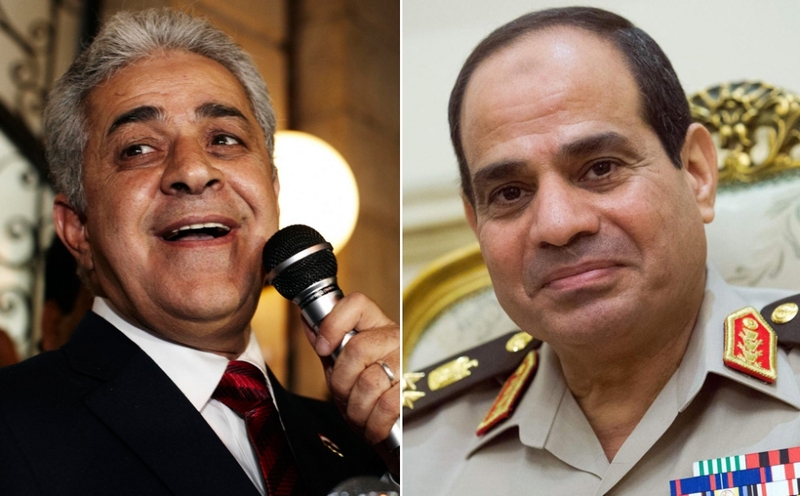 Egypt’s presidential campaign has formally started, and political talk shows have become the new frontier for candidates Abdel Fattah al-Sisi and Hamdeen Sabahi to flex their muscles and charm the public. Although it’s hard to assess the real impact of these talk show interviews on viewers, they have clearly highlighted crucial aspects of the candidates’ manifestoes, personalities and styles. Contrary to earlier assumptions, the performance of both candidates in TV interviews has changed the perceptions of some and raised alarm bells for others. Overall, they have increased the prospect of a competitive election. Many who considered Sabahi’s candidacy a meaningless exercise are now asking themselves whether he can in fact gain enough support. However, a question mark hangs over the percentage of votes Sabahi can win. Doctor, blogger and Commentator on Middle East issues. The only practising doctor who write in Middle Eastern politics in UK. This entry was posted in Diary of Aak, Egypt and tagged Egypt, Foreign policy, middle-east, politics, Sabahi, Sabahy. Bookmark the permalink. Reblogged this on Ned Hamson Second Line View of the News.